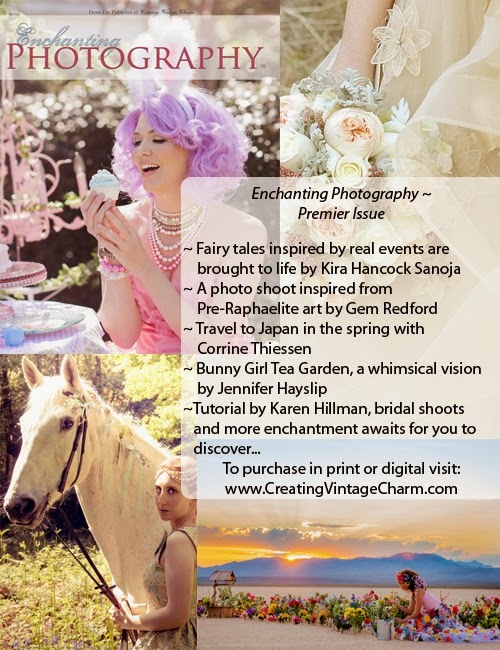 Enchanting Photography: Premier Issue of Enchanting Photography Available Now! 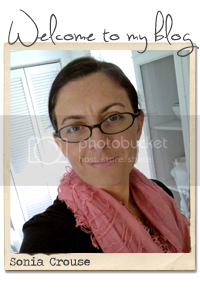 Premier Issue of Enchanting Photography Available Now! It has been my dream project for a while and yes, I will mention again that I am excited to say that the first issue is finally here. Thanks to all the wonderful photographers who joined me in turning this dream to reality. Photographers don't just see the world around them. They feel the emotions of nature, humans and animals, scenes or moments in depth. They walk in this world, taking it all in and want to capture feelings or reproduce a dream. We may not have been to Japan in the springtime, but it is a stunning sight to see and Corrine Thiessen shares her amazing trip with us. Shari Delgado-Nicscevic stumbled upon a farm during a foggy sunrise and she was able to capture that breathtaking view. Brides are glowing on the best day of their lives and images capture their happiness through smiles and radiant faces. 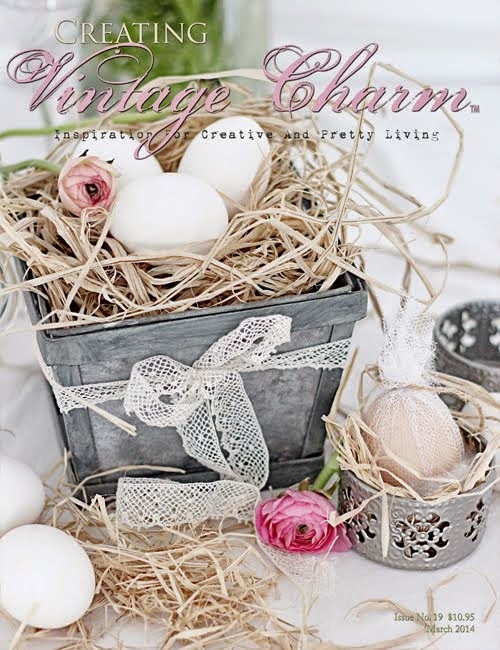 Jennifer Hayslip envisioned a glamorous tea party while Kira Sanoja brings fairy tales to life. With so many beautiful dreams, captured memories and observations, it would be a shame if their visions are not shared. The image is almost lost. So that is why I felt I needed to launch my new project and help share these images and put these special moments out there for the rest of the world to see. So I hope you enjoy flipping through this magazine and pause for a moment to savor these moments in time. They may be in the past, but we get to enjoy them for a long time to come. 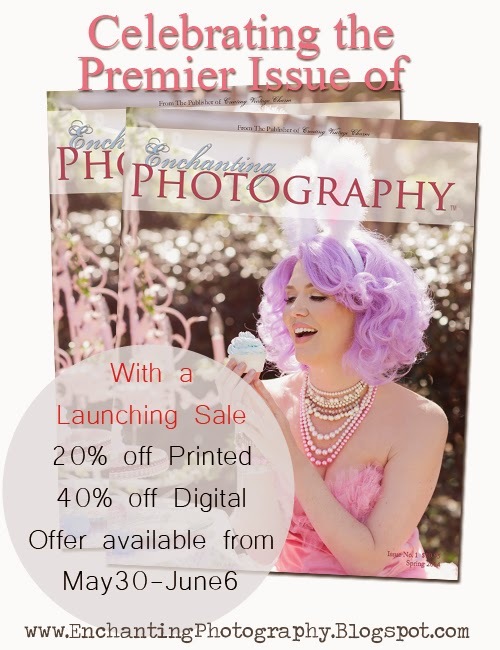 Also note that to celebrate the launch of this publication, we are having a SALE on Enchanting Photography' Premier Issue. Sale is for a LIMITED TIME ONLY so I do hope you stop by MagCloud and get your issue and prepare to swoon and be enchanted.